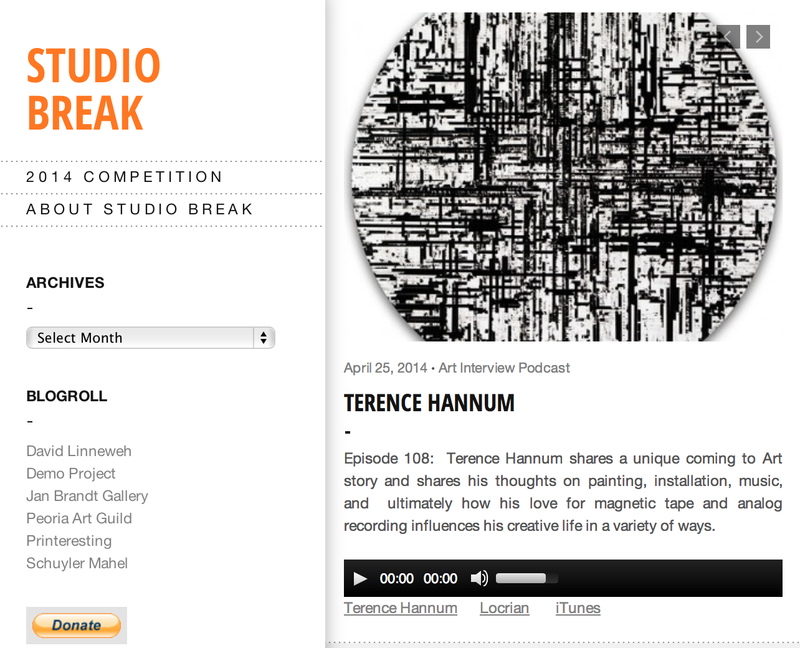 Take a listen to a recent interview I did with the Podcast STUDIO BREAK run by the excellent DAVID LINNEWEH. In it I talk about how I became an artist, how my work relates to sound and tape culture. Take a listen HERE.